Just in time for Thanksgiving, here’s another great reason to gather ’round the table (besides turkey and dressing)—crafts! 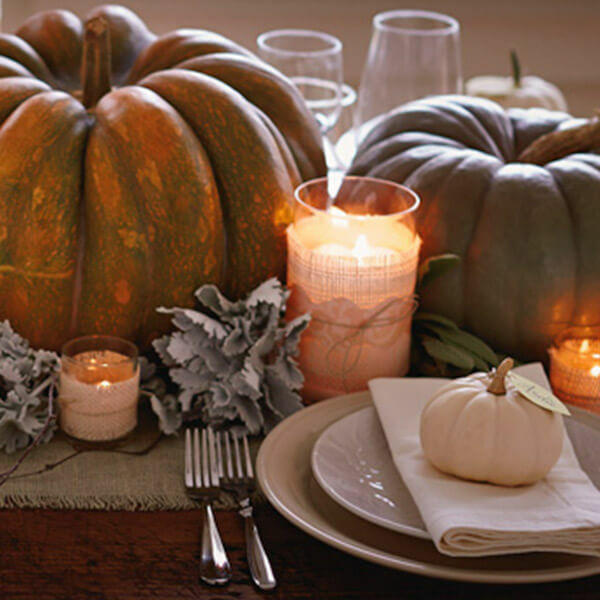 These easy projects will help you create a beautiful Thanksgiving table, as well as some fun family memories. All you need are simple things like paper, fresh flowers, and coffee filters. (And helpers, of course.) So gather your supplies and your peeps, and get ready to get crafty—together. Bring some long branches in from your yard and place them in a large, tall, rustic container. Use fall-colored card stock with our leaf templates to cut out leaf shapes. Have everyone write a word or two about what they’re thankful for on a leaf. Then with a tiny hole-punch and a bit of twine or ribbon, tie your leaves to the tree. Download the leaf templates here. 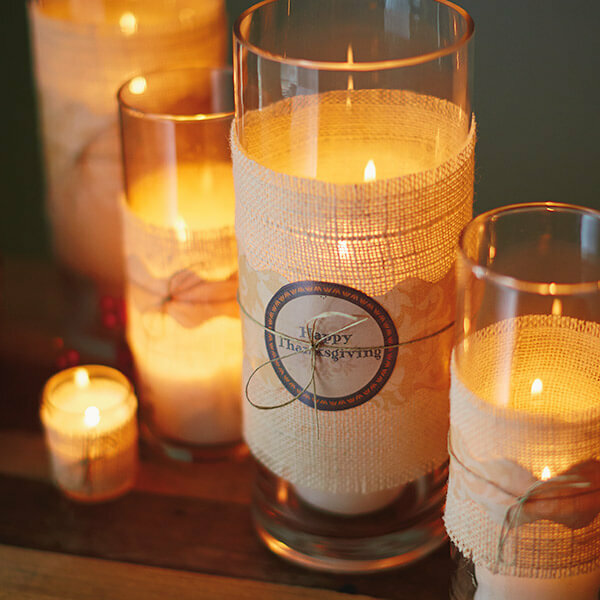 Gather your favorite hurricane lamps and large clear vases. Add ivory candles, a little bit of burlap, some 11-by-17-in. card stock and our easy templates to create this simple and natural look for your table. Download the templates and instructions. For this quick and easy place-card project, use our smaller leaf templates to cut leaves from card stock in fall colors. Then add your names to the leaves and tie them to the stems of mini pumpkins (or apples or pears) by using a tiny hole-punch and bit of twine or ribbon. Download the small leaf templates. 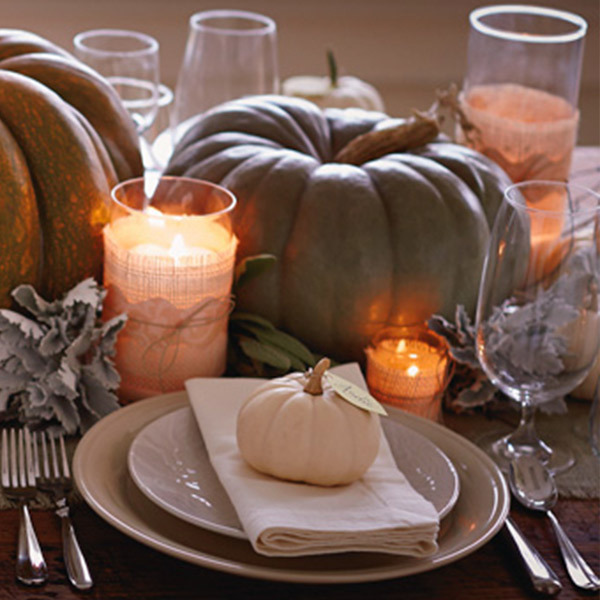 Bring some 3-D effects to your Thanksgiving table with this popular craft. 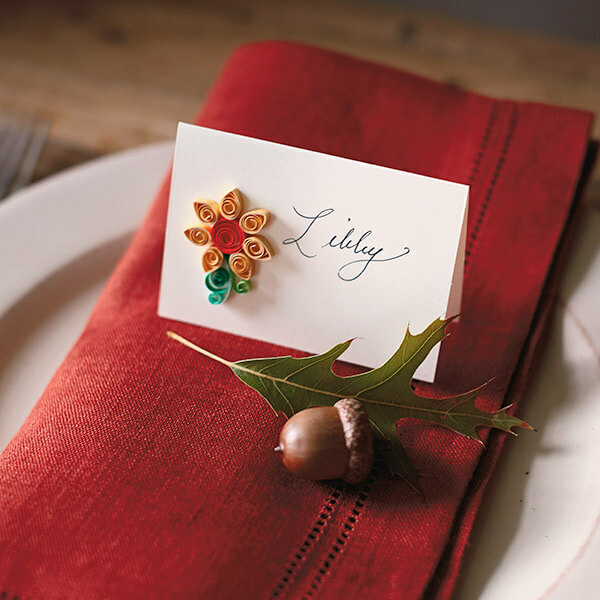 These fun “twists” on traditional turkey day icons are perfect for embellishing simple place cards and are sure to bring smiles from around the table. Quilling is easy and inexpensive, and the possibilities are as endless as your Thanksgiving leftovers. Download the instructions. 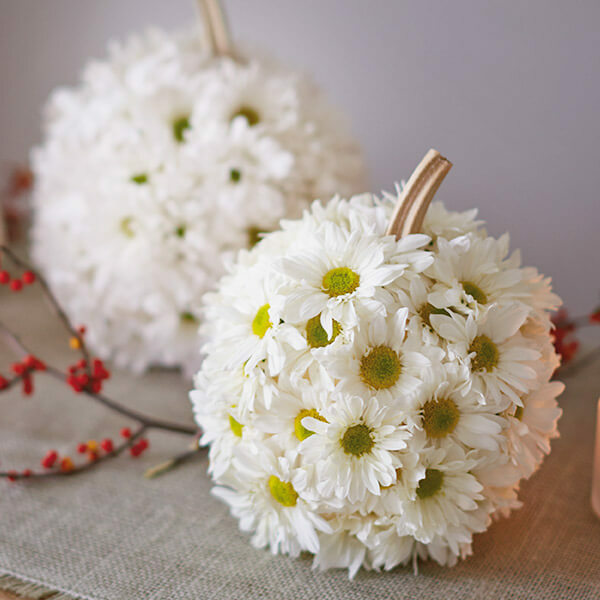 Combine two fall favorites, mums and pumpkins, into an adorable centerpiece for your Thanksgiving table. 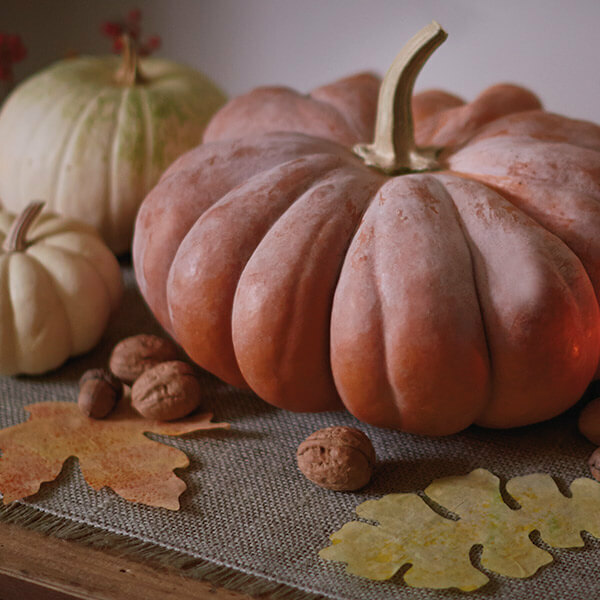 Fresh flowers make an amazing impact, but using artificial flowers on a craft pumpkin will let you use it again next year. Download the instructions for both versions. Watercolor paints, our leaf templates and coffee filters are all you need to create pretty fall leaves for your Thanksgiving table. Or string them together to make a fall garland for your mantel. Download the instructions and templates.